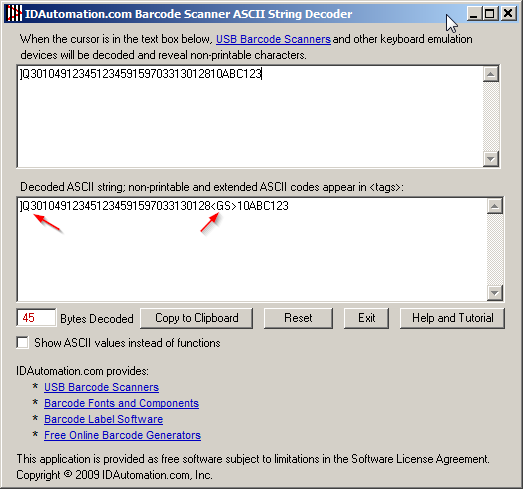 GS1 symbols encode Application Identifiers (AI) that are commonly encoded in GS1-128 (1D) and GS1 DataMatrix (2D) barcodes. In 2012, GS1 QR-Code became a ratified standard for use within the GS1 System, primarily for sharing extended packaging information associated with a product GTIN. GS1 also supports the encoding of multiple AIs within QR-Code symbols as the FNC1 character. For consumer goods, GS1 recommends using either GS1-DataMatrix or GS1 QR-Code when brand owners want to encode a link to a website. When either barcode is scanned by a consumer, the same information should be transmitted regardless of the symbology used. If the desired product does not yet support GS1 QR-Code, GS1 DataMatrix may be another option since either GS1-DataMatrix or GS1 QR-Code may be used according to GS1 documentation. byte mode or the % character in alphanumeric mode may also be used. In all cases, the scanner should decode additional FNC1 characters as ASCII 29 which is character <GS>. When GS1 QR-Code is used for sharing extended packaging information, as in Fig. 2 below, Application Identifiers AI (01) and AI (8200) are mandatory and other GS1 AIs are optional. FNC1 mode in first position refers to a GS1 symbol and it is encoded with the ~1 character. 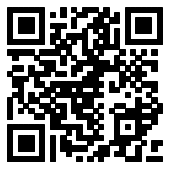 IDAutomation will refer to this as GS1 QR-Code. FNC1 mode in second position is encoded with the ~2 character and identifies symbols formatted in accordance with specific industry or application specifications provided by AIM International. 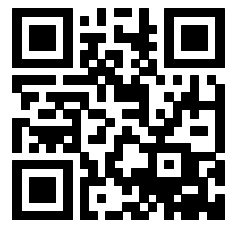 IDAutomation will refer to this as AIM QR-Code. The first AI is required directly after the ~2 in parentheses in all AIM QR-Code symbols. Fig. 1: GS1 QR-Code symbol encoding (01)04912345123459(15)970331(30)128(10)ABC123 in alphanumeric mode, which includes the GTIN, best before date, quantity and batch number. Parentheses should not be part of the data encoded in GS1 QR-Code symbols. Fig. 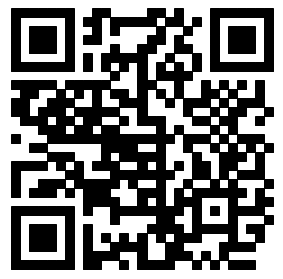 2: GS1 QR-Code symbol encoding (01)04912345123459(8200)https://www.idautomation.com in byte mode, which encodes the GTIN and a URL for product information. When generating AIM QR-Code symbols, the first AI is required directly after the ~2 in parentheses. The parentheses will not be encoded and are only used to encode the first AI within the symbol. If additional FNC1s need to be encoded, they should be encoded as ~2 in any mode. In addition, to comply with AIM QR specifications, the character GS (encoded as ~d029) in byte mode or the % character in alphanumeric mode may also be used. Fig. 3: AIM QR-Code symbol encoding (37)AA1234BBB112(8200)https://www.idautomation.com in byte mode. Parentheses are required directly after the ~2 to encode the first AI in AIM QR-Code symbols. According to GS1 specifications, when GS1 emulation is enabled, the first FNC1 character should be decoded as “]Q3” when it is a GS1 symbol or “]Q5” when it is an AIM symbol and any additional FNC1 characters should be decoded as <GS> (ASCII 29). The first 3 characters of this decoded symbol are referred to as the AIM symbology identifier. Not all scanners properly decode symbology identifiers or FNC1 characters. The <GS> character is not visible when scanned unless used with an advanced verifier or the IDAutomation Scanner ASCII String Decoder. The screenshot below is the decoded symbol of Fig. 1 above, scanned with the IDAutomation 2D USB Scanner. To enable this decoding within the scanner, refer to the GS1 emulation programming guide. Mask Pattern Reference #2, Error Correction Level "L"